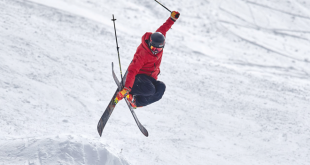 As is often the case with local high school age sports, once a Crested Butte team makes it to the big show, they find out there’s an entirely different world out there. The Crested Butte Wolfpack hockey team had a fantastic regular season. After finishing 14-2, the Wolfpack had an amazing post-season run with five wins in a row, including the Rocky Mountain Youth Hockey League title. The success led them to the state tournament with three other teams, Boulder, Pueblo and the Colorado Junior Eagles. They are bigger teams with larger talent pools to draw from and longer seasons. 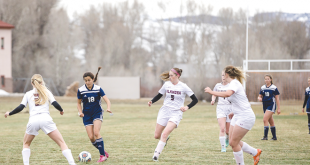 Those facts became glaringly clear on Saturday, March 1 as the Wolfpack’s post-season run ended in a 9-3 loss to Boulder in the state tournament semi-final game. The game started with Boulder in charge from the opening face-off, but the Wolfpack held on with goalie Zach Van Dyke turning away many of the 43 shots he faced that night. Boulder took a 1-0 lead into the second period but the Wolfpack evened the score when Mo Gillie beat two players and scored to tie the game a minute into the second period. The goal stunned Boulder and inspired the Wolfpack to shine for a brief stint following the goal. Once Boulder regained its composure, they netted three goals in the second period to take a 4-1 lead into the third period. Two quick goals by Boulder set the Wolfpack back 6-1 but two penalties against Boulder opened a seam for the Wolfpack to climb through. The Wolfpack took advantage of their power plays as John Tharp scored in the sixth minute off an assist from Quinn Langsfeld. Thirty seconds later, Tharp scored again off an assist from Robbie Holleran to pull within three goals with five minutes left in the game. Unfortunately, the well ran dry for the Wolfpack as Boulder capitalized on three more chances to come away with the 9-3 win. Langsfeld has been playing hockey locally since the first grade and is ecstatic about closing his career with a successful season and a showing at the state level. Looking back on the season, Langsfeld points out two specific highlights. Martin is satisfied with what the team accomplished this year as well and looks forward to next year, with plans for improvement already in the works.